Your yard is an extension of your home, and it is often the first thing that people notice when they visit or drive by. It’s obvious when homeowners rely on a professional company to maintain their yard because their yards and flowerbeds are pristine and lively, perfectly complementing their home. Blooms Landcare is a landscaping company in Fort Worth, TX, that offers landscaping installation and maintenance for homes across the DFW area. 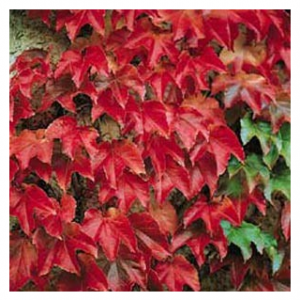 Our team’s specialty, however, is making yards look beautiful with seasonal color installations. When we think of specific seasons, different colors often come to mind. For spring, bright pastels are usually what adorn decorative embellishments; for summer, bright yellows and blues bring to mind vacations and bright sunshine. Fall can be one of the most beautiful seasons in terms of colors, with rich tones of red, yellow, and orange that bring to mind changing leaves. Fall is just around the corner in Fort Worth, so it’s time to update your yard with the perfect blend of colors that match the season. Every team member at Blooms Landcare has studied horticulture for many years. Our company is known for our expertise and quality work, and we strive to meet every customer’s complete satisfaction. With each of our landscaping projects, we work directly with customers to create a customized design that is completely tailored to their wants and needs. Your yard is yours to design, and our team is here to help you turn your landscaping dreams into realities. Be the envy of the entire neighborhood with a custom seasonal landscape design from the experts at Blooms Landcare. To talk with one of our staff about updating your yard with the latest in fall flowers and plants, contact us today by calling (817) 688-5352.